Proud moment: Alyssa Murray receiving her scholarship award at a ceremony in Brisbane’s City Hall on April 27 with State Member for Bulimba Di Farmer and Siena Catholic College principal Graeme Hight. 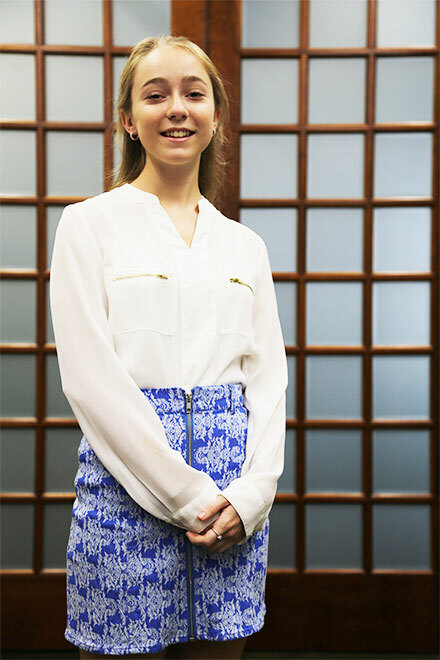 ALYSSA Murray nursed several sleepless nights to receive the perfect grades that led to an OP1 score and a scholarship to help her through university. The Siena Catholic College graduate and last year’s college captain was one of 10 Queensland students to receive the coveted TJ Ryan Memorial Medal and Scholarship this year. Ms Murray is the only Catholic student to receive the scholarship, valued at $10,000, this year. Students receive $1000 in the first semester and subsequent payments are made during the course of their studies, not exceeding five years. At the official award ceremony, Ms Murray said she was excited to see her hard work in Year 12 acknowledged. “It’s so nice that the hard work in Year 12 paid off and it wasn’t for nothing,” she said. She said academic success in secondary school involved sacrificing social time, sleep and relaxation. “You have to be really motivated for what you want to do,” she said. 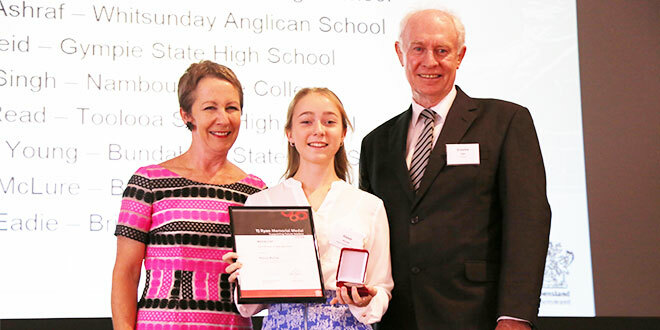 Reaping success: Former Siena Catholic College student Alyssa Murray was one of 10 Queensland students to receive the TJ Ryan Memorial Medal and Scholarship. Ms Murray said the scholarship would go towards her Bachelor of Pharmacy and the cost of living away from home. Originally from Coolum, Ms Murray is now living at the University of Queensland’s Catholic women’s residential college, Duchesne College. “I find you get quite homesick, but there’s always so much to do at the college and you feel so social and grown up,” she said. The TJ Ryan medal was introduced to Queensland in 1927 and named after the former Queensland Premier, Thomas Joseph Ryan, who served from 1915 to 1919. The scholarship and medal recognise high-achieving students and outstanding leadership in both the school and the community.